On our cosy yet elegant 2 floors level restaurant we are able to accommodate up to 50 people,with an intimate yet vibrant atmosphere. The Bull Steak Expert is a boutique restaurant created to celebrate 5 decades of passion & inner talent for the art of grilling from the Master Griller Daniel Veron. Set on 2 floors on the charming Red Lion Street in Holborn, we offer a cosy & relaxed atmosphere with warm & attentive service. With the finest ingredients cooked on our own custom made grill you can enjoy our authentic Argentine cuisine. To compliment we have tailored a very special selection of great wines from The New & Old World. "The Bull Steak Expert,an experience to remember"
Perfect deliciously cooked in every way and the wine was perfect too. A very nice restaurant where the stakes were top class and the service fantastic. I would highly recommend this place and it won't break the bank. One of the best places for steak in central London. Quality of meat is really high. Just bear in mind it is not the cheapest of places. One of the best steaks I have ever tried in my life. My favourite in London. Not any worse than what they serve in Argentina. Highly recommend. Excellent food and service, the quality of the meat is exceptional. The way is cooked gives an excellent taste. The supervisor is a Argentinian woman, positive and proud of her restaurant. The range of wines from Argentina are also wide and quality wise very good. 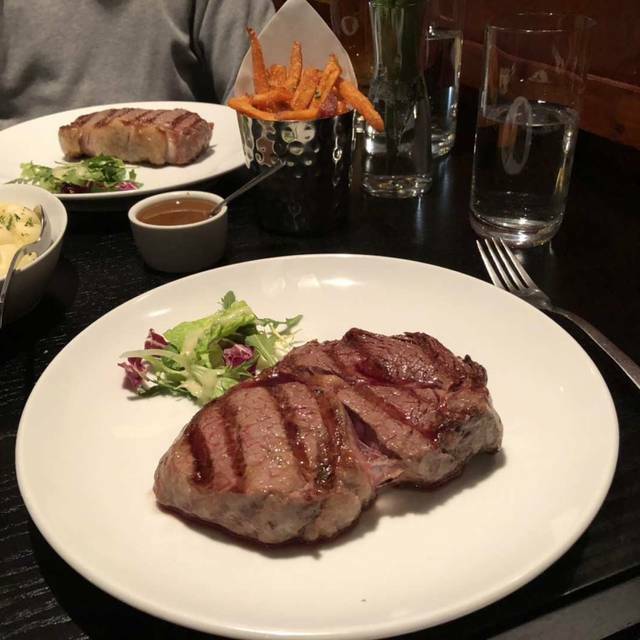 Best steak ever, very good service and atmosphere . Great place to have a lunch meeting. Good quality food and great value. Kurzfristige Reservierung war kein Problem. Toller und sympathischer Service, super Fleischqualität; der Lobster war ein Tacken zu trocken-kann mal passieren. Alles in allem würden wir wieder hingehen. London weekend getaway with my love. We thought we could escape the noise by going downstairs but a group of 4 at a nearby table made things difficult. Overall, food and service excellent - free beef/bread for starters was lovely. Delicious food and a pleasant atmosphere. The desserts (a cheesecake and sticky toffee pudding,) were average but the starters and mains were great. The 12.5% service charge was a little steep considering we were a party of two. More than happy to tip at the Bull Steak but felt this amount was disproportionate. We had rather disappointing experience due to lack of service, worst steak tar tar that was blended and we happened to have drink added twice on the bill, which was unacceptable. They have taken the service charge off though to be fair. Wow! Everything was perfect. The service was friendly and efficient. The food was simply exceptional. Thanks for a really great evening. 3rd visit, steak is always perfectly cooked. Lovely little restaurant. You’ll struggle to find a better steak. Amazing steak and on-the-side goodies, all cooked to perfection, in a lovely and authentic environment. Hosts and staff helpful and friendly, giving you space and time to relax and enjoy the company. A special place, perfect for special occasions. Service was slow and inconsistent. The meat was well seasoned and prepared properly. This place is unbelievable! We’ve eaten there during three different trips to London. It gets better every time. Great steaks; great sauces; great sides; great salads; great wines - all for a great value. The staff is even better than the food. If you have any questions on menu, they will steer you right. A good steak restaurant. Food was very good, unfortunately the wine was served cold. Though a nice location, the restaurant lacked a buzz: maybe something to do with not being very busy or the decor which is uninspiring. Overall, a good meal, friendly service but not quite top notch. Group dinner was amazing. Service was outstanding with very attentive servers. Steaks were authentic and cooked to perfection. Will definitely recommend to a friend and definitely come back again. Excellent!! Very friendly staff with great service. Really good food. Small cozy space but got filled and noisy toward end of meal. Looking forward to going back. Beautifully cooked steak, good choice of wines and speedy service. I took clients here for a business lunch and almost everything was exceptional aside from one extremely rude waitress. If this was my restaurant I wouldn't want someone that unprofessional working for my company. Such a shame that instead of remembering how good the food was she was the topic of the afternoon! They give you an amuse bouche which was delicious. We both ordered ribeye steak & it was melt in your mouth delicious. We also had sweet potato fries that were slightly over-salted but nice all the same.the spinach portion seemed slightly small but again we tasty. We had Dolche de leche cheese cake which again lovely & the right portion size. Only the fruit on the side tasted oniony or garlickynot too sure but made my daughter not eat the fruit. I ordered a cocktail & at £11.00 wasn’t really anything to write home about. I would go for the steak as it was much tastier than Goucho and on par with Hawksmoor. Was pretty good but a few tweaks it would be A*! Excellent steak. Very well prepared and cooked. By far, one of the best Steak restaurant's in London. Every item on the menu is as good as the next. Excellent as always, I’ve eaten here 3 times in as many weeks, I always go for the 600g Tira de Ancho cooked medium. Great authentic little eatery. Steaks and sides are all cooked well. Wine list leans towards Malbec’s as you might expect but all reasonably priced. Following a recommendation I went with a Patagonian Malbec which was was nicely balanced and not too big . I preferred the ambience upstairs versus downstairs however downstairs was also fine. Excellent meat and good wine. A typical Argentinian restaurant. Regular steak place, always great quality steak, good service at awesome value. We visit the bull every time we’re in London. It has been one of my favourite restaurants for years, and still is. You’ll never ever get disappointed about your steak. It’s like there’s a guarantee it’ll melt in your mouth, regardless of what you choose. It’s just four stars this time, since now there’s an 12% service charge. It’s a common thing, I know. I still do prefer my own choice of tipping or not, and the amount- depending on the experience and service. Also the chips were undercooked and the redwine was under temperature, it’s minor details thinking of the forever quality of the meat, but still counts to the overall experience. We’ll be back next time visiting London. Used it for a business meeting. Was a little unsure when I booked, but turned out to be better than I had expected. Good service, great food and a good place to have a business lunch. A very nice meal for a reasonable price. Steaks were cooked to perfection (medium and medium rare) and were very tasty. The one steak could have been a bit warmer when served but otherwise a really enjoyable dinner. Booked before a show at the Savoy Theatre so very quiet, but worked well for a quiet conversation. Overall a very good meal, would visit again. 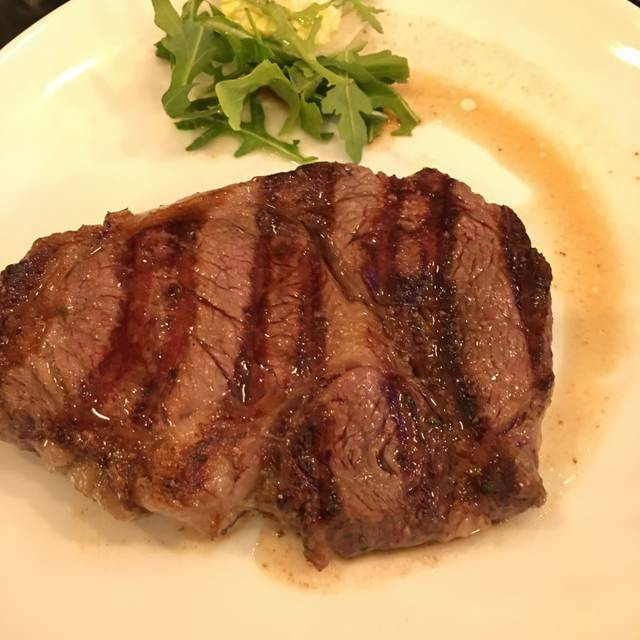 A small restaurant with serious steaks at serious prices. The same goes for the wine list, which is basically 6 pages of Malbec. Good, professional service. Not atmospheric, but fine for impressing business associates who are carnivores. Our bill for three was £280.